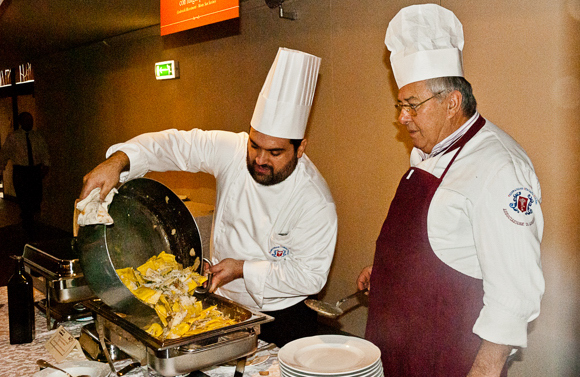 Make the most of your time in Rome with an exclusive hands-on culinary experience. Learn how to make a perfect plate of “Bucatini alla Matriciana” or a perfect dish of “Saltimbocca alla Romana” with a succulent side dish of “Carciofi alla Romana” with Fabio a professional chef and restaurant owner. Take an excursion in the Roman country side to Mazzano Romano, visit a winery for a wine tasting in the nearby village of Calcata a perfectly preserved country village. Package include a tour of Rome, 4 nights accommodations at the luxury Visconti Palace (or similar hotel class), lunch after the cooking class, pickup and return to hotel, apron and recipes hand-out. Hotel taxes and service charges. This package offers extremely flexibility if you like to visit other Italian cities and historical highlight. From €572, per person, based on double occupancy.